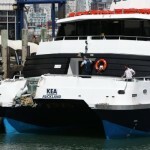 The 27 meter long, 341 dwt catamaram passenger ferry allided with the pier at Devonport wharf, Auckland, New Zealand. 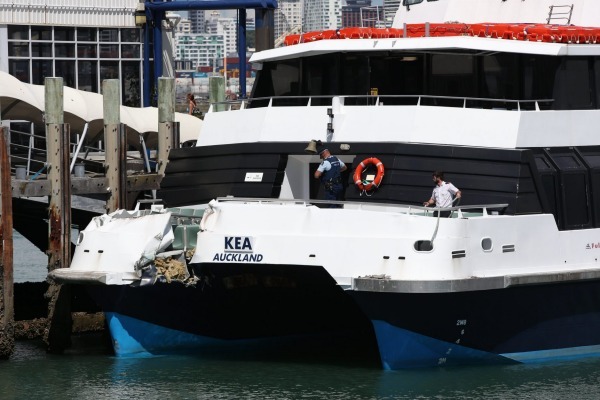 The ferry was approaching the pier in calm conditions when it suffered a mechanical breakdown and struck the pier. Reports state some 15 passengers and crew sustained injuries with 10 persons taken to hospital for treatment. 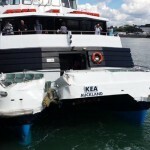 The vessel sustained severe damage with a large gash in the hull above the waterline. Authorities have detained the vessel while an investigation was launched into the incident. No reports of pollution released. 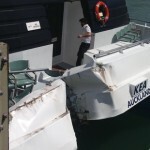 Witnesses stated they heard a loud bang when the ferry struck. Passengers stated they were thrown off their seats and fell onto the decks. Many said they suffered only minor cuts and bruises from the incident. The fishing vessel Savannah Ray ran aground in Chiniak Bay off Kodiak Island, Alaska. The Savannah Ray had run aground in bad weather with winds reaching 50 mph and seas reaching 10 feet. 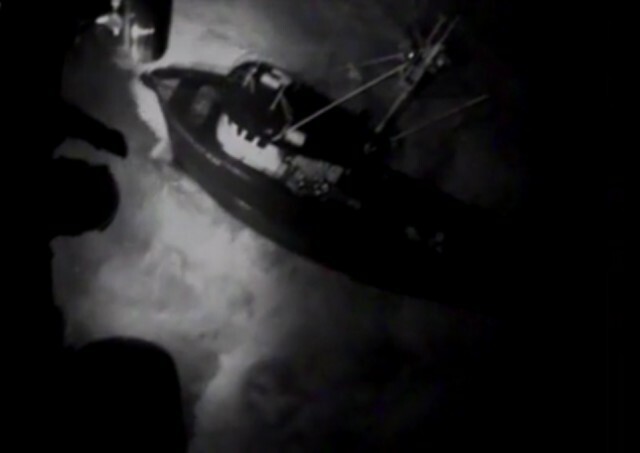 The crew sent out a distress call and the fishing vessel’s EPIRB alerted authorities. The Coast Guard dispatched a Jayhawk helicopter to the scene. The helicopter arrived over the Savannah Ray finding the 4 crew in their survival suits with the life raft launched. The helicopter hoisted the 4 crew to safety and transferred them to Kodiak. No reports of injuries.